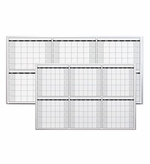 Half year dry erase calendars from OptiMA let you plan six full months at a time. 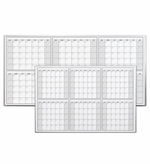 The calendars display 6 individual full months in individual day boxes. These wall mount calendars are available in 4x6' and 4x8' options. Choose between the versatile magnetic receptive model or the popular economy model. 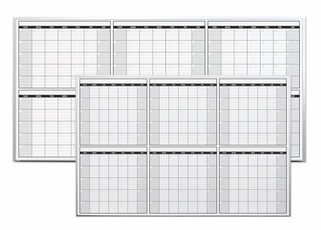 Magnetic and economy boards feature our premium OptiPrint™ surface over high quality calendar graphics.